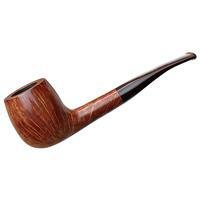 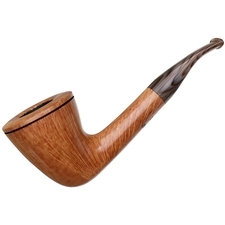 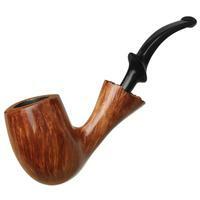 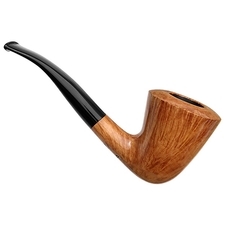 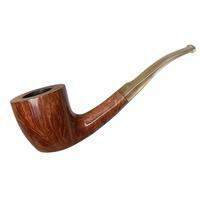 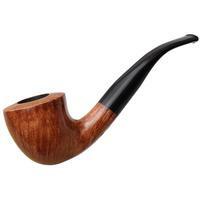 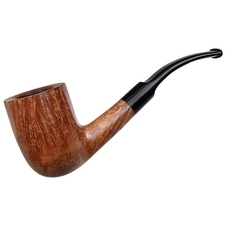 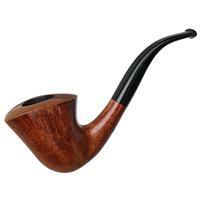 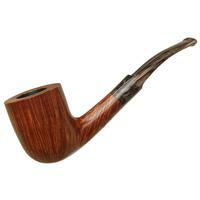 Sturdy yet supple, here Randy Wiley has crafted a classic sort of bent Dublin, with no need for excessive flair. 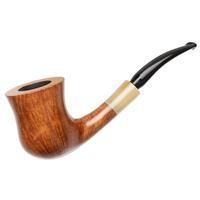 The grain is a fine mixture of Birdseye and 3/4, the bevel at the rim is gentle, and the bend of the shank and stem offer just a touch of his usual whimsy — making for a piece that is comfortable in hand, as well as simply designed. 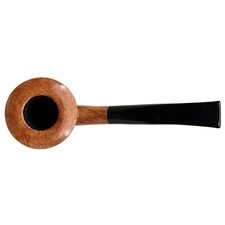 Bowl Height: 2.25 in./57.15 mm. 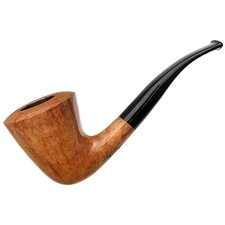 Chamber Depth: 1.79 in./45.47 mm.